Texas Landlord Tenant Laws are in place to establish laws and statutes governing the rental of residential properties. The statutes are set forth primarily in the Texas Property Code Title 8, Chapter 92. Additional statutes are found in other chapters, such as in Chapter 24, which discusses eviction actions. The laws protect property owners and managers as well as tenants. The laws explain the rights and responsibilities of both parties when a landlord-tenant relationship is established in the State of Texas and provides remedies for violations. Texas also extends and grants some authority under additional measures. None of the information contained herein is meant to substitute for legal advice, nor is it meant to include a complete list of all laws and statutes provided under the Texas Property Code. If you have issues that you believe may warrant a claim, you should consult an attorney who specializes in landlord-tenant law. Stay up to date on Texas Landlord Tenant Laws + Save money on tenant screening and other property management needs. Join AAOA today, it’s FREE! There are remedies that a tenant can initiate if the landlord fails to exercise good faith and retains the security deposit, other than for those reasons provided under Texas Landlord Tenant Laws. Specifically, under Section 92.109 (a) A landlord who in bad faith retains a security deposit in violation of this subchapter is liable for an amount equal to the sum of $100, three times the portion of the deposit wrongfully withheld, and the tenant’s reasonable attorney’s fees in a suit to recover the deposit. Is liable for the tenant’s reasonable attorney’s fees in a suit to recover the deposit. c. In an action brought by a tenant under this subchapter, the landlord has the burden of proving that the retention of any portion of the security deposit was reasonable. d. A landlord who fails either to return a security deposit or to provide a written description and itemization of deductions on or before the 30th day after the date the tenant surrenders possession is presumed to have acted in bad faith. When the Security Deposit Form is included at the signing of the lease and other Texas Landlord Tenant Forms, the landlord and the tenant are protected in event of any discrepancy upon the tenant moving out. Either party may choose not to renew a lease, but must give reasonable notice, prior to move-out. There are several exceptions, some of which are a potential cause of action for violation of the lease under Texas Landlord Tenant Laws, such as when a tenant is convicted of serious criminal offenses, including a conviction for public indecency as provided under Section 91.003, while others are governed as exclusions for which no cause of action may be brought. One example is in case of domestic violence. A protective order issued under Chapter 85, Family Code. It is important for tenants and landlords to know that any action provided for under this section does not relieve the tenant from liability for delinquent or late rent that existed prior to notification by the tenant providing notice to the landlord of intent to vacate the premises under this section. Any previously delinquent rent is still the responsibility of the tenant and is a potential cause for action under Texas Landlord Tenant Laws governing delinquent and non-paid rent, in violation of the lease terms. Tenants may also terminate the lease under certain situations such as being a victim of sexual offenses, stalking and “certain decisions related to military service,” which is covered under 92.017. A landlord who refuses to accept the voluntary early tenancy is potentially liable for civil penalties, fines and court costs and attorney fees. When a tenant violates terms of the lease a Forcible Entry and Detainer action can be initiated against the tenant, which is governed under Texas Property Code Title 4 Chapter 24 Forcible Entry and Detainer. A landlord must give at least a three day written notice to vacate the premises before filing a forcible detainer suit.” If a landlord is successful in regaining legal right to the premises under a forcible entry and detainer action, from a tenant who refuses to surrender the property after termination of or violation of terms of a rental agreement, the tenant is usually forcibly evicted. However a tenant still has certain rights and a landlord is liable for actions such as having utilities disconnected when a tenant is delinquent with rent or refuses to vacate. If a landlord refuses to make necessary repairs to the property, tenants have the right to demand that repairs be made. The tenant must first supply the landlord with written notice of needed repairs, sent by certified mail, return receipt requested or by registered mail. In the event a landlord refuses to make repairs, Texas Landlord Tenant Laws now permits a Texas Justice of the Peace “authority to order landlords to repair or remedy conditions affecting a tenant’s health and safety, as long as the cost of the repair does not exceed $10,000,” under SB 1448 (81st Regular Session), according to the Texas Attorney General. The American Apartment Owners Association offers thorough Texas Tenant Screening Background Checks. We also provide a full page on proper tenant screening techniques for Texas landlords and tenants. Visit Texas Tenant Screening Background Checks to learn more. All states require a variety of forms to rent an apartment to a tenant and Texas is no exception. Check out American Apartment Owners Association’s Texas Landlord Forms now. 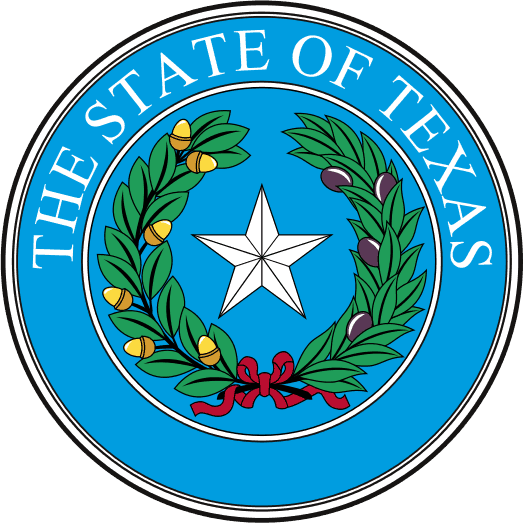 Looking for landlord tenant laws outside of Texas? The American Apartment Owners Association offers helpful landlord tenant laws for all 50 states. Click on any of the states listed below and go directly to its landlord tenant law page. To visit the homepage of landlord tenant laws, click here.